GOWANUS — It was once known for the foul smell of its infamous canal, but these days Gowanus is getting attention for the tasty flavors coming out of restaurant kitchens. The neighborhood's burgeoning food and drink scene is about to get five new additions. Here's a taste of each to whet your appetite. The husband and wife team behind Red Hook's The Good Fork were tired of driving to Flushing for authentic Korean barbecue, so they decided to open their own version in South Brooklyn. But wait, there's more: Insa will have five private karaoke rooms and a 1970s-inspired cocktail lounge replete with red velvet banquettes, co-owner Ben Schneider told DNAinfo New York last year. Armed with $40,000 in cash from a successful Kickstarter campaign, Schneider and his wife, chef Sohui Kim, will be able to realize their dream of themed karaoke rooms outfitted with top-notch sound systems and "even fans for the full Stevie Nicks experience," Schneider told Kickstarter donors. 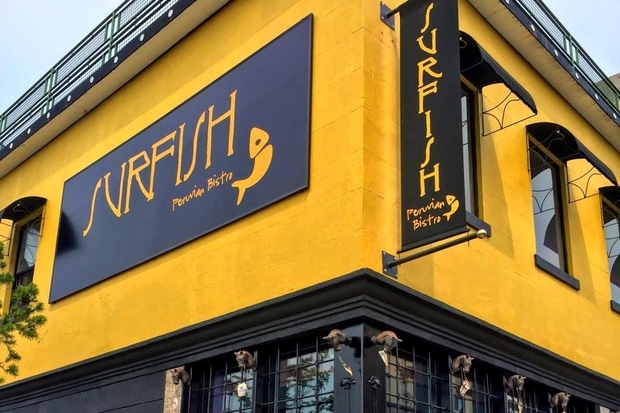 Surfish Bistro has served "exceptional seafood" at its original Park Slope location for the past four years, but chef-owner Miguel Aguilar has been itching to expand into a bigger space. "I hated my restaurant because it was too small," Aguilar said. "Saturday and Sunday, it was impossible to work there. Now I'll have a big kitchen where I can work and people can get comfortable and eat." The Gowanus outpost will have two levels, two bars and enough space for about 100 diners. Aguilar is freshening up the menu with new dishes including squid ink paella and quinoa fried rice with tofu and veggies. As for the old Park Slope location at 351 Fifth Ave., Aguilar is transforming it into a takeout joint with Peruvian-style sandwiches, rotisserie chicken and other prepared foods suitable for bringing home for dinner when you don't feel like cooking. "I can't wait for it to open so I can feed my family there," he said. After racking up awards for his prowess as a home brewer, Jason Sahler decided to open his own microbrewery and taproom. 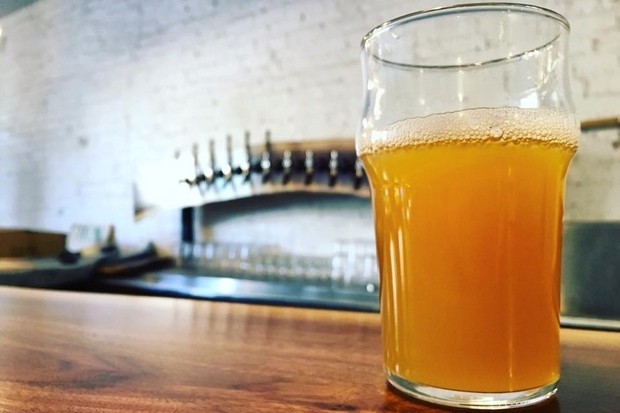 Strong Rope will feature 10 beers on tap made with ingredients grown in New York State, Sahler said. "We're really trying to showcase what the farmers are doing," Sahler said. "We want to give people a great place to drink, but also give people knowledge about where their beer comes from." Sahler is even hoping to invite farmers to lead talks at the brewery, which will be run with a focus on sustainable, environmentally-friendly business practices. 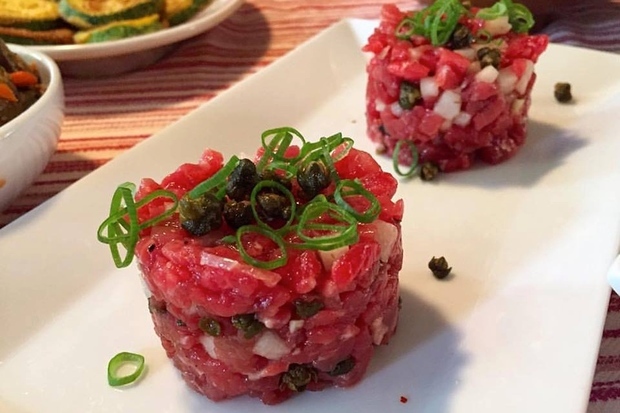 Strong Rope won't serve food, but customers will be allowed to bring in eats from nearby restaurants to nibble on while the taste Sahler's creations. Named for a mill that once stood on the shores of Gowanus Creek, Freek's Mill will serve seasonal farm-to-table small plates. 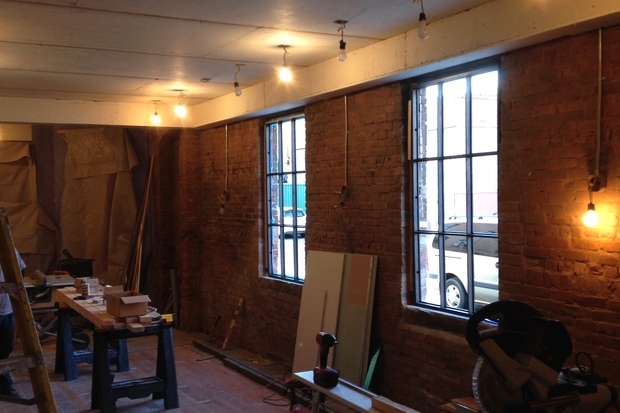 With seating for roughly 70 diners, the restaurant will have a wood-fired oven that will roast meats, fish and vegetables, owner Jonathan Stewart told DNAinfo New York. Stewart said his goal is “flavorful, well-executed, simple food [with] balanced flavors of caramelization, acid, and fat." The alcohol menu will focus on wines and cocktails showcasing bourbons and amaros, Stewart said. Stewart met Freek's Mill manager Maxime Giordani when the two worked Casa Mono & Bar Jamon in Gramercy Park. Chef Chad Shaner was an executive sous chef at Union Square Cafe and executive chef at Chelsea's Le Zie. Three women with impressive hospitality resumes are opening Dirty Precious, a casual cocktail bar. Katipai Richardson-Wilson (center), a bartender at Basik in Williamsburg, was previously the head bartender at The Breslin. Shana Sandberg (left) has worked on the design of several restaurants including Jean-Georges at The Mark and Dos Toros. 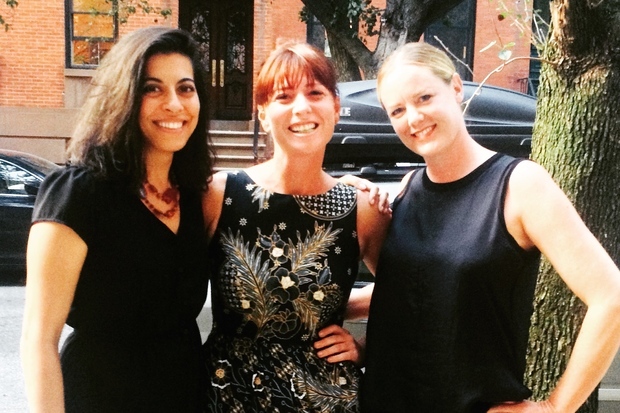 Amy Cole, at right, has worked on opening restaurants including The John Dory and Narcissa. With Richardson-Wilson at the helm, the women are opening Dirty Precious. Their goal is to serve both ends of the drinking spectrum, from well-made cocktails to cheap beers and shots, Richardson-Wilson said. “You can have a great drink but in a less formal environment,” Richardson-Wilson said. “We’re trying to create a local bar where you can get a great cocktail, or a sh-tty beer if you want one."